I always stay in the Sleep Inn when visiting my Home Town. The Sleep Inn is a WONDERFUL Hotel. The front desk staff was extremely friendly and readily anawered any questions/concerns that I had. I had a group of teenagers who enjoyed the lobby as yhey felt welcome and comfortable. 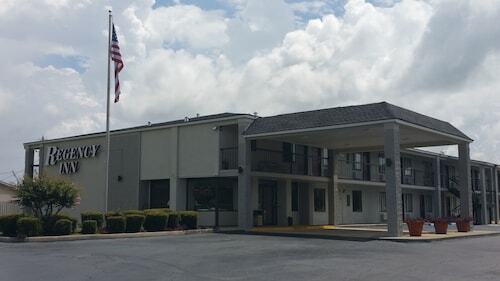 If I’m ever in the area again, Best Western, located on S. Alabama Avenue, is my choice of stay. Fridge didn’t work in room 155. Breakfast wasn’t good. Beds were nice. The Staff were so nice and professional. I only wished that they had an elevator for my 84 year old mother. Our room was on the 2nd floor. Got back to hotel at night and door to room was open. Maybe the maid left it open?? Luckily no one was hanging out in my room and no one wanted my old lady clothes. It was very creepy, though. The hotel was nice and clean. They really are pet friendly. I really enjoyed my stay. We waited 30 minutes, in a stinky lobby area, to check in and no one ever showed up. We left and payed for a room at another hotel. So you're kicking around the idea of a vacation to Monroeville? If you want a place to lay your head that's located close to Monroeville attractions, use Orbitz to pick your travel dates, and then presto! Look through the list of hotels and other accommodations to identify those that are close to everything you want to see. 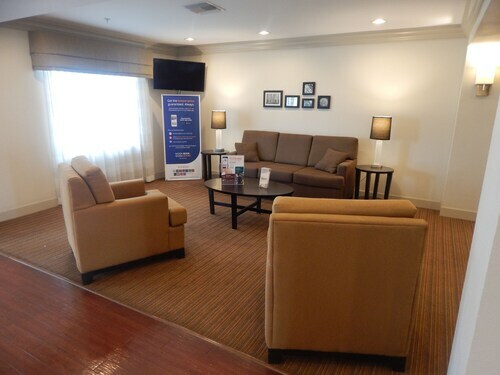 To get lodging that has all the perks you want when you travel, use Orbitz to get your must-have amenities whether that's a swimming pool, free parking, or a kitchen. Go swimming when you stay at one of these Monroeville properties, appreciated for their pools. What's the Weather Like in Monroeville?